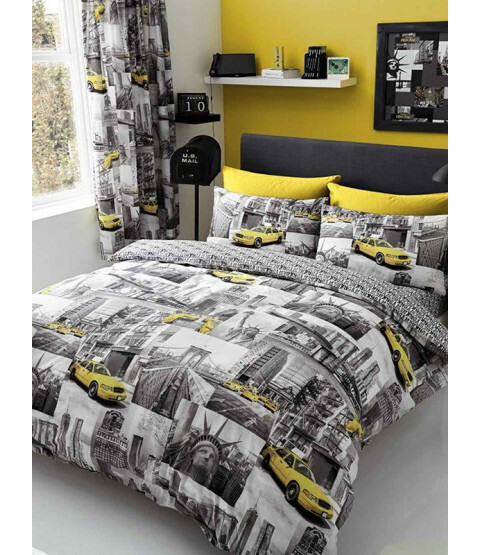 Bring a slice of The Big Apple to your home with this stylish New York Patch single duvet cover set. 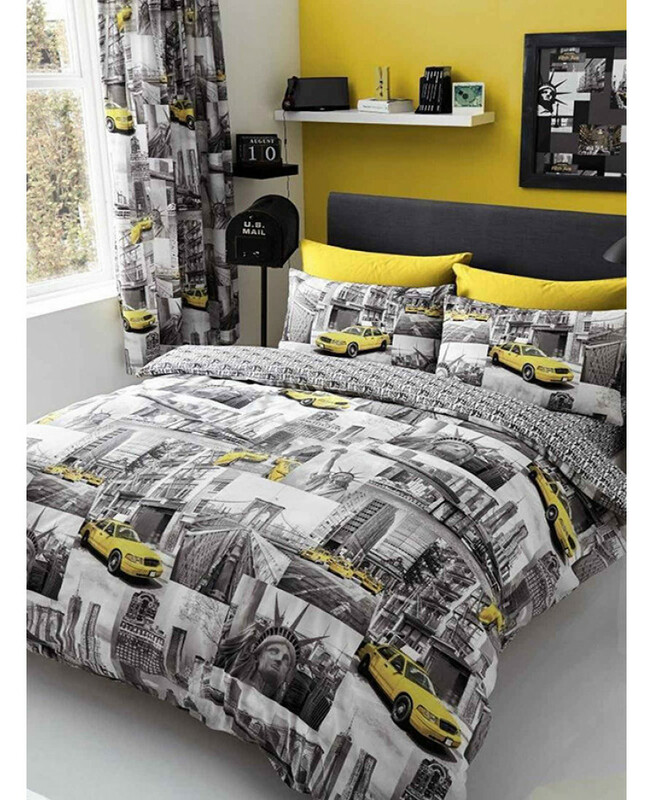 The cool design features a collage of black and white images of New York including the Brooklyn Bridge and Statue of Liberty, with an iconic New York cab adding splashes of yellow. This bedding set can be machine washed and tumble dried on a cool setting.